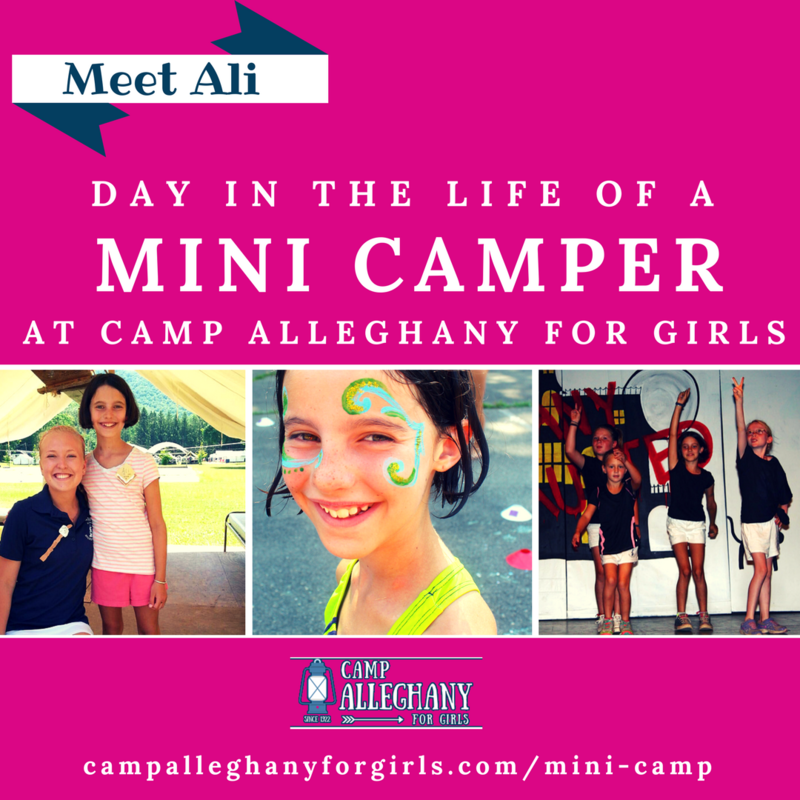 Camp Alleghany is steeped in traditions, dating back to its beginnings in 1922. We strive to teach campers respect and reverence for each tradition at Alleghany, and to help keep the traditions alive year after year. 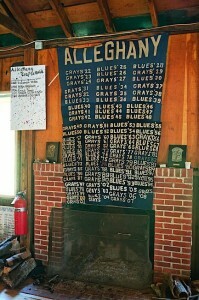 Blue/Gray is an Alleghany tradition that started in 1922. 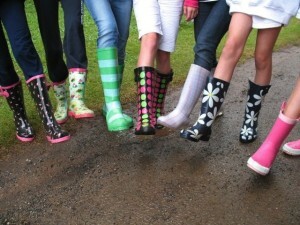 It promotes friendly competition and sportsmanship, following the principles of the Honor Code. 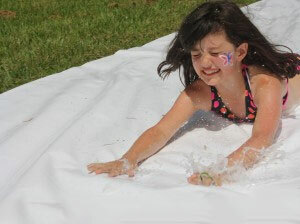 All campers are assigned a color and participate in Blue/Gray events throughout the summer in activities such as the Swim and Canoe Meets, matches in Rifle, Archery and Tennis and in games including relay races, Capture-the-Flag, trivia contests and more. A banner hanging in the Play Hall recognizes the winner of each summer. 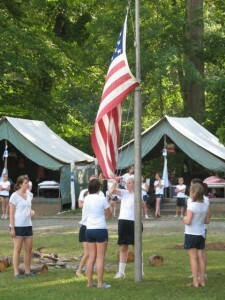 At Camp Alleghany, campers are quickly introduced to a daily routine that involves many of our camp traditions. With the help of the counselors and their peers, new campers will soon adjust to the bells and bugles that coordinate our day. Traditions such as flag raising and lowering, morning assembly, and evening activities, including Campfires, Sunday night Vespers, Blue/Gray competitions, scavenger hunts, a dance with Camp Greenbrier and the final Dance and Drama shows are all the norm here, and you can read about what a typical day looks like at Alleghany by clicking here . We reward our campers’ efforts in their activities with participation patches at the end of each term. 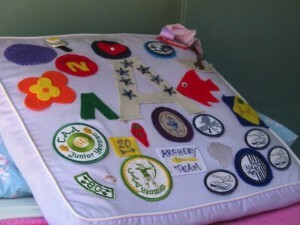 Campers receive felt patches, which are traditionally sewn onto a pillow, and there are special award patches for exceptional performance. We continue to celebrate success at the end of 2nd term, when we have Banquet – a celebration of our entire summer together at camp. This evening includes a special dinner and an awards ceremony based around a theme that is kept secret until right before the event. 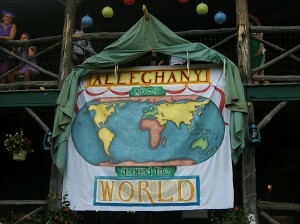 This favorite Alleghany tradition ends the summer with a festive night of celebration and commemoration. 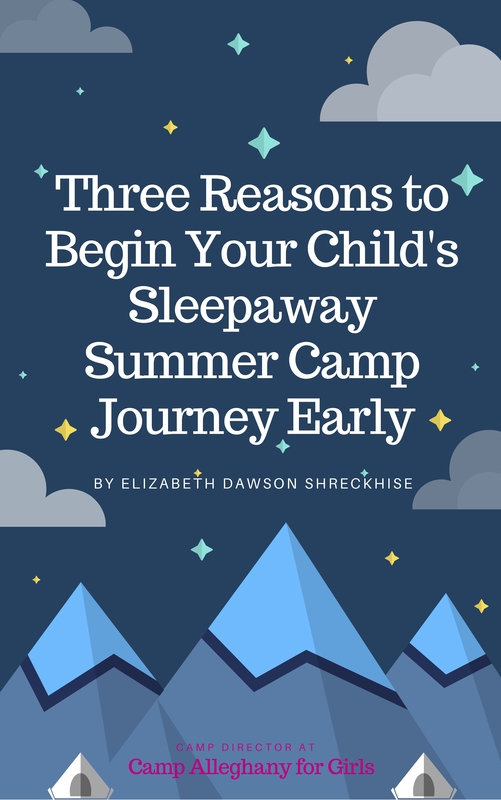 Ultimately we strive to ensure that campers end their summers with a multitude of happy memories, and these customs and traditions help us to pass on the ’Ghany magic.